Born at Ottawa, Ontario on 15 December 1875, son of Noah Chevrier and Isabelle Johnson, brother of Eudore Chevrier, he came to Manitoba in 1878 and was educated at St. Mary’s School (Winnipeg) and the University of Manitoba. He joined his father in the operation of The Blue Store, a retail store on Main Street. It was later renamed Chevrier and Sons and continued in business until September 1931, by which time he was President and General Manager. At that time, Chevrier became a fur buyer for the Revillon Freres Trading Company. He married Marguerite Gingras, daughter of Francois Gingras, in 1895. They had two children: Louis E. W. Chevrier and Rita Chevier. In 1907, he married Annie Jane Kittson (c1877-1960), daughter of Alexander Kittson. They had a son, Noah Chevier. 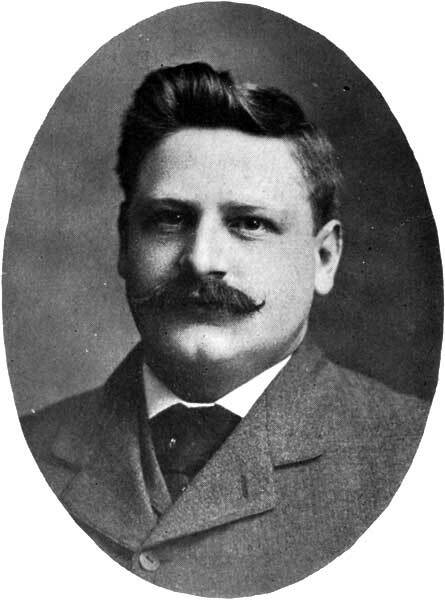 Fluent in English, French, and Cree, he was elected by a single vote to the Manitoba Legislature in the 1903 general election but was defeated in 1907 and 1910. He was President of the Retail Merchants’ Association of Canada, and President of the French Liberal Association of Manitoba. He was a member of the Old Timers Association, Alliance Francaise, Canadian Institute of External Affairs, Winnipeg Press Club, Knights of Columbus, St. Jean Baptiste Society, and the Eagles Club. A skilled violinist, as a young man he performed in the first Winnipeg symphonic orchestra under Paul Henneberg. He died at his Winnipeg home, 204 Lawndale Avenue, on 12 January 1935. Manitoba Legislative Library, Manitoba History Scrapbook M25, page 147, Blue Store. “Horace Chevrier dies at home of lengthy illness,” Winnipeg Free Press, 14 January 1935.